Depositors are responding to the risk of waking up one morning to discover their Euro deposits have been convered to drachmas. German, Greek, European and other interested finance ministers are in Washington for the annual joint meetings of the IMF and the World Bank together with the great and the good among the world’s major policy makers and economists. They have an opportunity to help bridge the differences between Greece, the IMF and Europe. The Brookings Institution were quick off the mark. ‘Against this backdrop, the two foreign ministers gave remarks and answered questions in the two events at Brookings. Senior Fellow David Wessel, director of the Hutchins Center on Fiscal and Monetary Policy, participated in both events, and spoke on NPR this morning about what he heard. Eurozone at a crossroads (again) : A conversation with Wolfgang Schauble. I found listening to both talks brought insight on the contentions between them and personal respect for both Schauble and Varoufakis. Without in any way distracting from their knowledge or sincerity both could come from central casting. Varoufakis warns unambiguously on the social and financial disaster for Greece that would follow a Grexit. Financial markets agree. Investors have dumped Greek Bonds, The 2 year yield has jumped above 28%. and credit default swops are soaring. Capital is flowing out of Greece and expectations for Greek economic growth are heading into freefall. 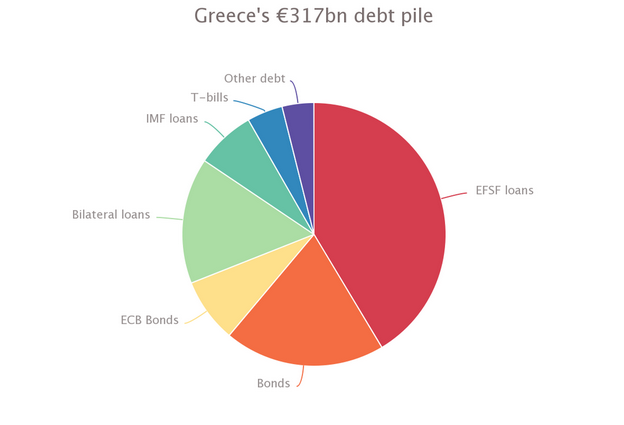 Europe and Germany in particular are also exposed to serious direct financial losses likely to flow from a Grexit. Tzipras is already raiding funds to keep afloat . He may be forced to call a referendum to seek a new political mandate and, following a Grexit, Germany will be exposed to substantial losses through the Eurozone’s Tier 2 payments arrangements. A safe bet bet with Europe is contentious issues will be despatched to the long grass. My guess is that’s less likely with this issue. A key theme of Varoufakis’s Brookings talk was enough of the extend and pretend – it hasn’t worked in the past and won’t in future. But, faced with the alternatives of a financial disaster that could be resolved with debt maturity extensions at near zero cost ,the Syzira government will be wise to reach a survival accommodation even if an element of pretend and extend remains. Pundits are again screaming from the rooftops its time to buy gold. 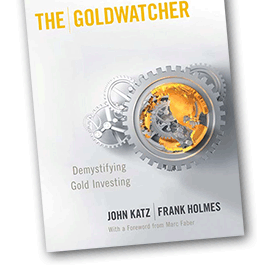 The Goldwatcher Golden Rule is moderation. Gold, bought in moderation at a reasonable price can be useful insurance against the unexpected and the unthinkable. Gold as a speculation calls for different motivation. READERS ARE REMINDED THIS WEBSITE IS NOT ADVISORY.